Bird Control Ireland Ltd have a comprehensive supply of Bird & Wildlife control products and services for Agricultural and Equine sector. In recent years modern feeds have attracted large numbers of birds into silage/maize pits, slatted units, feed storage areas, animal feeding areas, bales, stables and barns. This causes several problems for farmers, apart from being unsightly and messy bird guano can be present a serious hazard and in some cases can be fatal if ingested by animals. Bird access to equine and bovine housing areas should be considered, especially where animals are being fed. Rafters in stables and barns are ideal locations for birds as it is warm and food in constant supply. Contamination can be through water trough, feed troughs, hay, straw and feed. Feed and water contaminated by bird droppings presents a serious bio hazard for livestock Salmonella, Avian TB and Cocolliosis are commonly associated with this type of contamination. Rooks, Jackdaws, Feral Pigeons and Starlings are often associated with farm buildings and yards. Allowing bird's access to feed should be denied where at all possible and exposed areas where feed is kept loose should be kept to a minimum. Bird Control Ireland Ltd has provided products and services to the equine and agricultural industry over the past ten years. Our staff have experience in this sector and thus can provide you with the most efficient solution to your bird problem. Distress Calls, Bird Proof Netting, Holographic Streamer Curtain, Hawk Kite and Pole, Decoys and Bird Spiking are all possible solutions. In certain situations a campaign of harassment is required. This can be achieved, once the area had been inspected by an expert Bird Control operator. A report is compiled and recommendations are issued to the client. The Scarecrow Compact is an integrated bird dispersal system designed for use in one location. Speakers are built into the unit – so there are no wires running. The Compact unit is ideal where birds are causing a problem in one shed/area. Natural species distress calls are played to create a hostile environment. This unit is very effective in dispersing birds – importantly natural bird distress calls are played back at natural level. 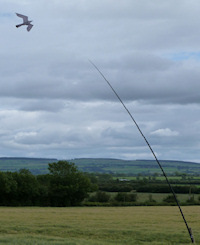 A complete, portable system with 360 degree dispersal, fitted to a 2m pole mounted on a 1m square base. 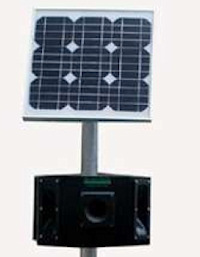 A Solar Panel, adjustable in angle, is included to enable the system to be independent of all external power supplies. Please contact us if you require additional information on our Bird and Wildlife Management Services for Agricultural and Equine sector. When used in an agricultural environment such as a slatted shed – one speaker is set up pointing down inside the shed and the second speaker is set up outside the entrance pointing down onto the yard. One Shot is fully automatic and random play in use and will work 24 hours a day without human intervention. The unit may be powered for ac main supplies, batteries or solar panels. Proven technology, unique to Scarecrow, means that birds will not habituate to One Shot, programmed to play the distress calls of six urban bird species, sequence 'shuffled'. Each call is of 45 seconds duration. 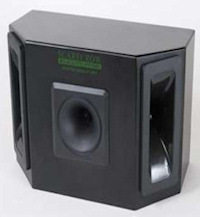 One unit can be power up to 4 speakers using a long line transformer. Distress calls on this unit include – Herring Gull, Blackheaded Gull, Starling, Jackdaw, Rook, Pigeon Other species specific distress calls are available for a small additional charge.